His grandniece was sitting cross-legged on the couch, poring over a bunch of files from the Miami PD, and he knew the autopsy report was in there. Part of him wanted to read it, and part of him didn’t. He felt undone by his conflicting feelings, so he said nothing and slumped into a chair. “I just learned the fire decreased my net worth,” he announced, but he was staring at the reflection of the sun bouncing off the water in a birdbath outside. Nonetheless, he felt Cat look up at him. Mick laughed. He should be offended, but on the contrary, he suddenly felt like he’d never loved his grandniece more. He thought about that dream of hers he’d walked into the first night in Ernesto’s place, the one with her Ranger lover dude or whoever he was, and the pool of blood. “The Big Red Splotchy Thing,” he said. They both laughed, the laugh relieving the tension in Mick’s head a bit. She reached over toward him, offering the slim manila folder. He took it. It was very clinical. He let the language wash over him, words and phrases like carbon monoxide poisoning and rigor mortis. “So the smoke killed him before the fire burned him up,” Mick said, feeling himself choke up. He looked up, about to lay into her because there was in fact no way this spit of a girl who’d only lived a fraction of his existence could know how he felt. But he bit his tongue. She was looking at him, as if she were really seeing who he was. Are you looking for a mystery thriller series to cozy down with? Framed and Burning is the second novel in the award-winning series Dreamslippers by Lisa Brunette. A gift with limitations...and consequences. A couple of PIs with the ability to "slip" into another person's dreams find themselves defending one of their own. Someone sets fire to Mick Travers’ studio, killing his assistant, and Mick won't give an alibi. Eccentric Granny Grace and her level-headed granddaughter Cat hope to prove his innocence and hunt down the real killer. Will they discover that a jealous rival was out to destroy Mick’s art—and reputation? Or is something even darker behind the arson and murder? Kirkus Reviews describes the first novel, Cat in the Flock, as "a mystery with an unusual twist and quirky settings; an enjoyable surprise for fans of the genre." The Dreamslippers Series is about a family of PIs with the ability to "slip" into another person's dreams. They find it's a gift with limitations... and consequences. Lisa Brunette is author of the Dreamslippers mystery series, winner of an indieBRAG medallion and praised by Kirkus Reviews, Midwest Book Review, and others. 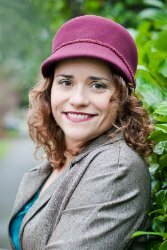 Brunette is a career writer with a long list of newspaper and magazine bylines and story design credits in hundreds of bestselling video games. She holds an MFA from University of Miami, where she was a Michener Fellow. Her short stories and poetry have appeared in magazines and won her numerous awards. 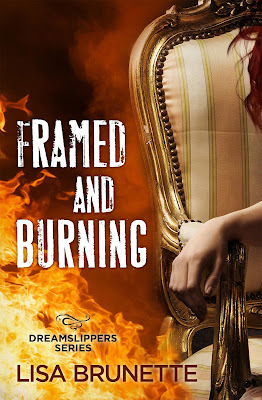 Check out Kindle Scout and VOTE for Framed and Burning by Lisa Brunette to get it Published! It is a reader-powered publishing for new, never-before-published books. Readers get to decide if a book gets published by Kindle Press. How can you help the author get their book(s) published? By voting for the book(s) you would like to see published. You can nominate up to 3 books at a time. Each book has 30 days for votes. What do the readers get for voting? As a Thank You from Kindle Scout and the authors you support, you will receive an early free copy of all the books you nominated that are published.